The holidays are almost here, and all of the events in Sarasota are proof of that. Between the Christmas concerts, charity events, and more, you can be sure that's Christmas time in Sarasota. Visit one of these wonderful winter events in Sarasota this weekend to get the whole family in the spirit of Christmas! Come out to The Ringling before the weekend and celebrate the holiday season as well as support a good cause. This event takes place on Thursday, December 6at 5 p.m. at the Sarasota Museum of Art, Circus Museum, and the Ca’ d’Zan. Live music will be provided by students from local schools, and the first floor of the Ca’ d’Zan will be available for self-guided tours. Admission is $15 for adults, $5 for children over six, and free for children under six. You can also get in free by bringing one unwrapped toy per person. The toys and proceeds go to support the U.S. Marine Corps Toys for Tots. Come help a local Sarasota business support military members and their children! Beginning Thursday, December 6 at 7 p.m., the Sarasota Orchestra will be performing a joyful Christmas concert with fresh takes on old holiday classics. With several showtimes throughout the weekend, this can be an event that fits easily into your other weekend plans. Don’t miss this celebration of holiday music in Sarasota! On Friday, December 7, the festivities at St. Armands Circle will start with performers at 5:30 p.m. Make sure your voice is warmed up because the Christmas carol sing-a-long will start at 6:00 p.m. and be followed by Mr. Claus’s arrival before the tree lighting ceremony. Bring the whole family this weekend for a night of true Christmas celebration! Head out to Sarasota Sky for drinks and dancing on Saturday, December 8 at 8 p.m. Signature drinks made with local ingredients will be available throughout the night. Put a pause on your Netflix marathon and socialize with other fun locals in a great location this weekend! Take part in the new-ish trend and walk along Main Street in Sarasota dressed in your ugliest Christmas sweater on December 8! Start at Evie's Tavern on Ringling at 8 p.m. for registration and receive your complimentary gifts to enhance your experience throughout the night. Enjoy discounts from local shops, restaurants, and bars for one night only this weekend. Want to attend a holiday event but are too busy still trying to finish shopping? Come out to The Mall at University Town Center on December 8 at 2 p.m. and listen to The Manatee Community Concert Band perform. Classic holiday favorites will be featured in the show, and you can do a bit of Christmas shopping before or after the performance. Viewing is free, but donations are accepted. Looking for something to get you out of the house and keep you active? Check out this race at Nathan Benderson Park in Sarasota this weekend. The route is smooth and features scenic views of lakes, ponds, and Florida vegetation. Finish the run on the floating mile across a lake. Every runner who finishes receives a medal! Whether you just want to get out and do something or take the family out to a fun holiday activity, Sarasota has events for everyone this weekend. Don’t miss out on these: they only come around once a year! 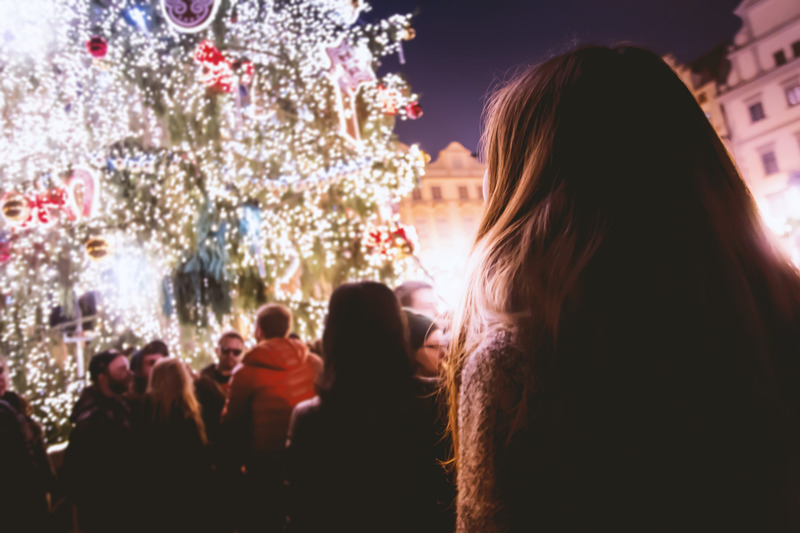 Find more ideas for Christmas in Sarasota as well as New Year's Eve in Sarasota by registering on 941area, your free guide to everything local in the area.